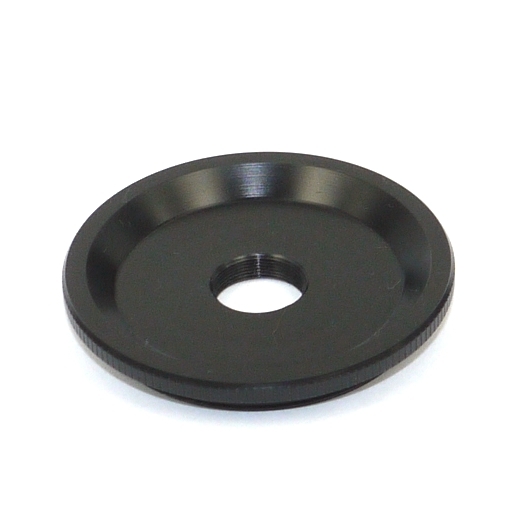 Raccordo per telecamere e sensori CCD con innesto ottiche filetto T2 Mount a corto back focus tipo ASI per poter utilizzare gli obbiettivi con innesto vite 12x0.5 (S Mount). 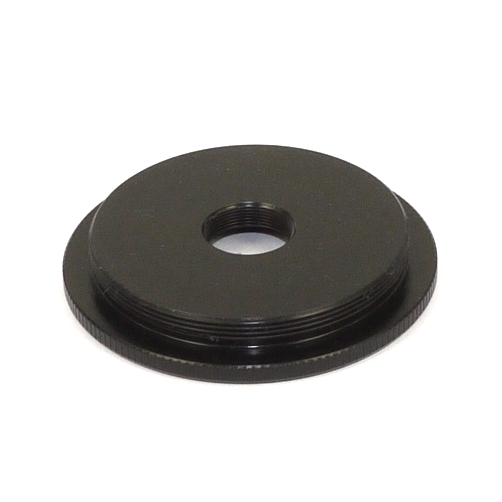 Consente di utilizzare le ottiche con filettatura 12x0,5 sulle telecamere con attacco filetto passo "T2". 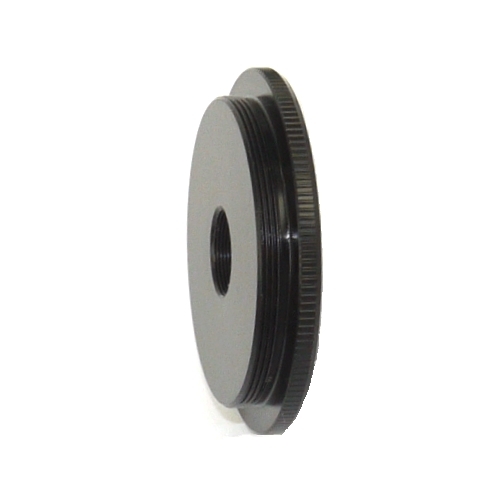 Connection for optical television cameras and sensors CCD with graft thread Step "T2" tipe ASI for being able to use the objectives with graft screw 12x0.5 (S Mount). 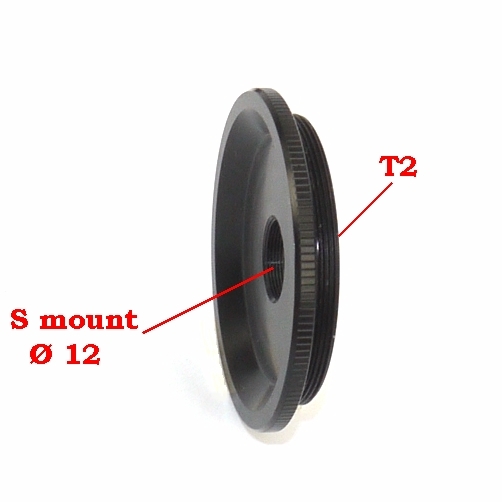 It concurs to use the optical with thread 12x0.5 on the television cameras with attack thread step "T2".